Find out more about our workshops, retreats and resources on our website. Hope you enjoyed the solstice. Seems that many are experiencing a lot of chaos. One of the stones that has helped me is blue fluorite. It tends to support me to be clear, calm, and more able to communicate clearly. I’ve highlighted it below. The Halloween workshop details are below. Think grids, crystals, major opportunity for integration. Interestingly, several people who have not come to workshop before or have not come in years have expressed interest. It seems we all are seeking clarity and comfort in the growing energies. We have capped the workshop so it is first come, first served to insure fairness for all. It discourages chaotic, disruptive and disorganized growth. It emits an energy which can be used to stabilize and produce order within the mental, physical, emotional, and spiritual systems. It helps to impart impartiality and unbiased, detached reasoning where it would be beneficial to both view and to act upon information objectively. It is the "stone of discernment and aptitude". It brings responsibility to the intuition. It represents the height of mental achievement, facilitating a limitless range of avenues for exploration. It increases the ability to concentrate, balancing the positive and negative relationships of the mind. It helps one to see both reality and truth behind illusion. It is excellent in helping one to understand the balances intrinsic to relationships. It provides for a stabilizing energy, helping relationships to flourish in the realm of that which is beneficial to all. The energies can inspire the universal energies to activate the nourishing energies of the body, assisting one in the attainment of the ultimate state of physical perfection. It allows one to recognize the purity of the universe and to understand that each portion of the universe maintains an inherent perfection in order to allow the unfolding of the perfect universe. It encourages and sustains the flawless ideal of health, intellect, and emotional well-being. It provides for the purification, cleansing, and elimination of that which is in order. It can be used to dispel disorders at the commencement of the symptoms. It is useful to dissipate the states associated with colds, etc. Blue fluorite: #2. It helps to develop orderly, sequential thoughts. It is quite good for promoting orderly record keeping. It produces a calm energy, which is non-directive; and enables one to both easily and competently direct the energies toward the appropriate medium. It is an excellent energy for stimulating clear, concise communicative skills, both within the physical reality and between this plane and other worlds. Purple fluorite: Master #77. It is for ajna, the third eye, bringing rationality to the intuitive qualities and assisting one in precise communication of that which is psychically presented. It brings an orderly connection to both psychic and spiritual growth. Chinese fluorite (Green, Purple, and Blue Rainbow encased with pyrite): #7. 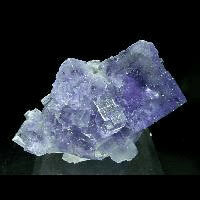 It combines the properties of the appropriate colors of fluorite with the qualities of pyrite. It is an excellent stone for protecting against and for the amelioration of dis-ease. Green fluorite: It can bring a cleansing, tidying, mint-like freshness of spring time and renewal to the chakras. It can be used to help diminish mild trauma in the emotional body and to eliminate negativity within a room, the negative vibratory states being transmuted toward the light and love of the universe. The Halloween (Crystal Integration) workshop will focus on crystals and integration at the soul, individual and community levels. In some of the work, we will focus on the light body that is activated minerals (quartz) within the body. Some think that the activation of this light body is what regenerates our life force. Others believe that it is simply an illumination of the spirit. Regardless of your beliefs, we are going to explore this illumination through the creation of a massive sacred space. The sacred space will be anchored by an altar of 800-1000 pounds of rocks and crystals. In addition, each person is asked to bring eight (8) pieces of granite that will be used to create individual and intertwining sacred circles. The combination will be to create a massive healing energy to anchor the weekend. Integration is the process by which we begin to support the chaos around and within us to form a new order. For some, this will be to complete the parallel (or past, if you are linear) life lessons and unfinished business, and/or to heal bleed-through. For others, it will be a return to the center, where the wisdom of internal authority will be rekindled to provide a guiding light for each person. Each person is encouraged to bring whatever stones or crystals feel appropriate or necessary to support his or her process. In addition, several stones will be provided for use during workshop. Some of the crystals will be gifted to you. Bring eight (8) pieces of granite that will be used to create individual and intertwining sacred circles. We have limited the number of attendees to 26. First come, first served. The workshop is residential and will be held at a beautiful Lutheran kids camp at Dodgeville, WI. You will recieve detailed instructions with your registration. We will begin class at 9 am on each day and end at 3 pm on Sunday afternoon. To Register: Please send a $100 deposit or the amount in full to Marie Smith, 19126 Campbell Hill Dr, Richland Center, WI 53581. If you have questions, please contact Marie Smith at marie@hawkrdg.org or (608) 647-2366. The last day for registration is Monday, October 18, 2010. Cancellations received by Friday October 15 will get a full refund. After October 15th there will be a $50 processing fee. Fee: $525 if payment is postmarked by Friday, October 15, 2010, which includes lodging for Thursday, Friday and Saturday night, 3 meals on Friday, 3 meals on Saturday, and brunch on Sunday. Late registration is $575. Please inquire if you need a partial or full scholarship. There is one full or two half scholarships as soon as we reach 20 participants. There is also a couples discount of $100 less per person.